Alta was a first mover in shared-use mobility with bike share. Our service areas include bike share, site planning and permitting, bike share business plans, bike share feasibility studies, and E-Bike share. 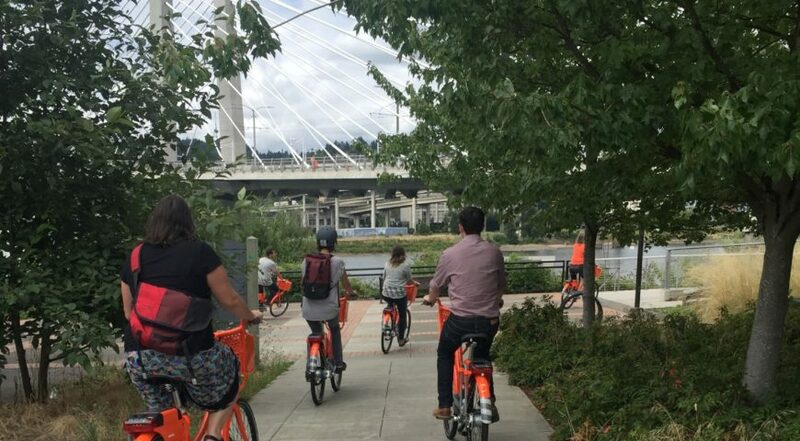 Alta is skilled in all facets of bike share program development, including feasibility assessment, demand modeling, business plan development, equity, and station location design, planning, and permitting. Alta's bike share feasibility studies assist communities with evaluating the correct scale, cost, and technology to be successful where you live, work, and play. Alta’s team of designers, engineers, and urban planners work with cities to create system plans, including siting, design, and permits for the individual stations within bike share systems.